For most other students summer is about the summer vacation, for MBA students it’s the much hyped “SIP”. It’s all about wearing the corporate world lens and trying to connect the dots to get a clearer picture of what you studied in the first year of B-School. I was fortunate to be selected as a summer intern for Boston Scientific Corporation – a big name in the medical devices industry. Being an HR intern, I was based out of their India Corporate Office in Gurugram (The city was renamed during my stay there. I’ll still call it Gurgaon anyway!). Although it wasn’t my first time in NCR, It was my first in Gurgaon. 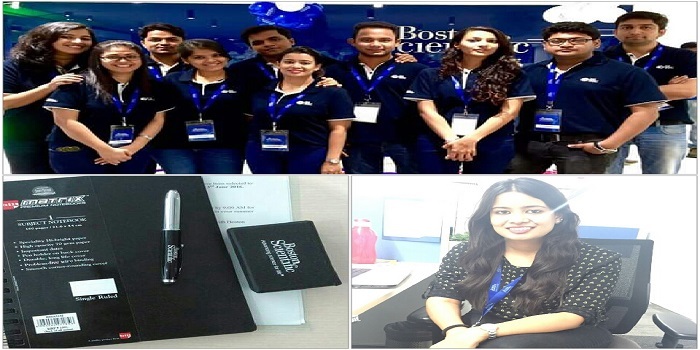 On the professional front, Boston Scientific Corporation is a great company to intern for. The company believes in caring and meaningful innovation. It’s not a company which would make summer interns feel alienated. It takes utmost care of them too. I always got time even from the busiest senior leaders (both India & USA) when I required inputs for my projects. I was fortunate to get two very interesting projects and a guide who was extremely particular yet cool. I learnt a lot under him. At times,when I would feel that I am stuck or directionless, he would ask questions which would force me to put on my thinking cap and be right on track again. On day one, I freaked out when I understood the deliverables he wanted (they seemed impossible), but now as my projects are about to reach an end I am quite pleased with myself. It will be an understatement if I say the 8 weeks journey at BSC has been just enriching. It has been a wholesome experience. Coming to my experience in the National Capital Region – The best part I love about it is the ease with which you can zig zag through Haryana, Delhi and Uttar Pradesh on a daily basis without realizing the boundaries. So it’s like even though I was based out of one city, I got to explore others. For me Gurgaon is all about Cyber Hub, Sector 29, corporate offices and the occasional power cuts! I had always been warned about how bad Gurgaon is when it comes to women safety. But I am glad to say that, I didn’t face anything unpleasant in my 8 weeks Stay. Gurgaon and its people treated me well. Maybe this was another stereotype which deserved to be broken. Delhi to me is all about Connaught Place, Hauz Khas, India Gate, piping hot tandoori momos and the lifeline of the city – its metro service (This is Spartaaa!). From street food to road side dhabas to fine dining, I found everything to satisfy my cravings here – right from kachori to chicken tikka to red velvet cake. Delhi and Gurgaon are very different yet very similar. Things which are common to both the cities despite their stark differences would be punjabi songs in cabs and auto-rickshaws, swanky cars, malls, pollution & of course the heat! Summing up my 2 months stay – it has been great. I would like to thank my friends, fellow interns (who became friends in the course of the journey) with whom I explored numerous places and of course BSC as on organisation for spicing life up. You can read other articles on Internship Diaries here. Read everything else about XIMB here.